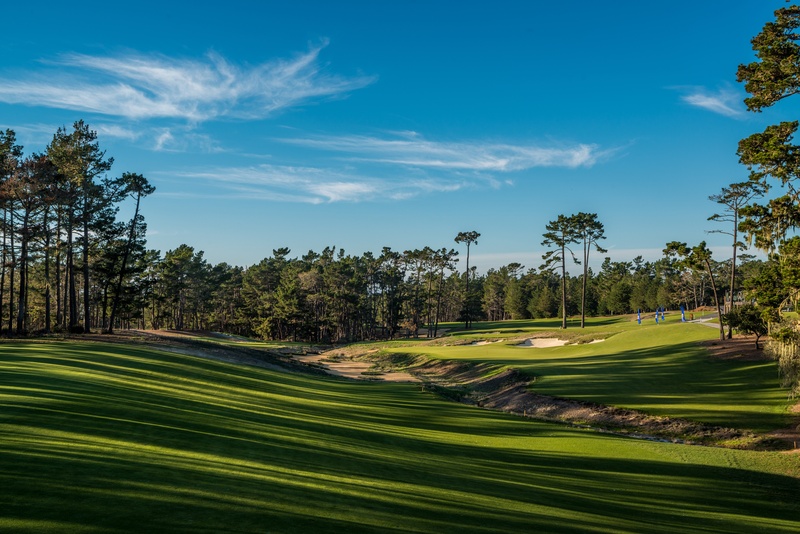 As you read in the blog title, the new fine fescue fairways at Poppy Hills are the future of the game -- and something you’re going to see a lot more as California's drought continues and the cost of water increases. 5½ -- The depth of sand layered throughout the entirety of the facility prior to planting, allowing for superior drainage and a great breeding ground for quality turf. ½ -- The height of the grass throughout the course, eliminating rough from tee to green. Because the golf course will be maintained at fairway height from tee to green, it will eliminate the frustration of losing golf balls in the rough, or needing to play difficult rough shots. Instead, we let the natural flow of the land and strategic bunkering put your game to the test. Both the 2014 U.S. Open at Pinehurst and 2015 U.S. Open at Chambers Bay, also designed by Robert Trent Jones II Golf Course Architects, are incorporating the “no rough” look, with the grass cut to fairway height throughout the routing -- other than tees and greens. So what does that all really mean to you, to golf at an "eco" golf course? In addition to helping the planet, it saves you money, it’s more fun to play, and there’s nothing else like it within 500 miles (unless you’re lucky enough to play the Cal Club) of Pebble Beach. How Does an Eco Golf Course Save You Money? With the cost of water now running golf courses in Pebble Beach $5000 per acre foot, the same amount can be purchased in Livermore for $300! Something had to change -- and the forward thinking of the Northern California Golf Association (NCGA) made the decision to plant a drought-resistant turf, which eliminated a large amount of required water to create the tour-quality playing surface you see today. The money we are saving by using less water is going directly to keeping the green fees down for our members. We are committed to keeping them as low as possible. With the rising cost of water, drastic measures were required to achieve this. This new turf is a large contributor the the saving of our water, and your cash, so please think twice before you start cursing it. I’ve often overheard groups mention that “it’s just too hard,” or “I’m not good enough for those fairways”. The honest reality is not that the Poppy Hills course or fairways are not too hard, it’s that you as the player are making it hard on yourself! I’m glad to have finally got that off my chest. I can’t tell you the number of times I’ve watched players pull out their trusty sand wedge from 50 yards out and blade it 75 yards past the green. At that point a sane person may say, “maybe that’s the wrong club”. But not us stubborn golfers. So here we go again with our trusty sand wedge, but this time we are going to really pick it clean. Oops! You get the point. 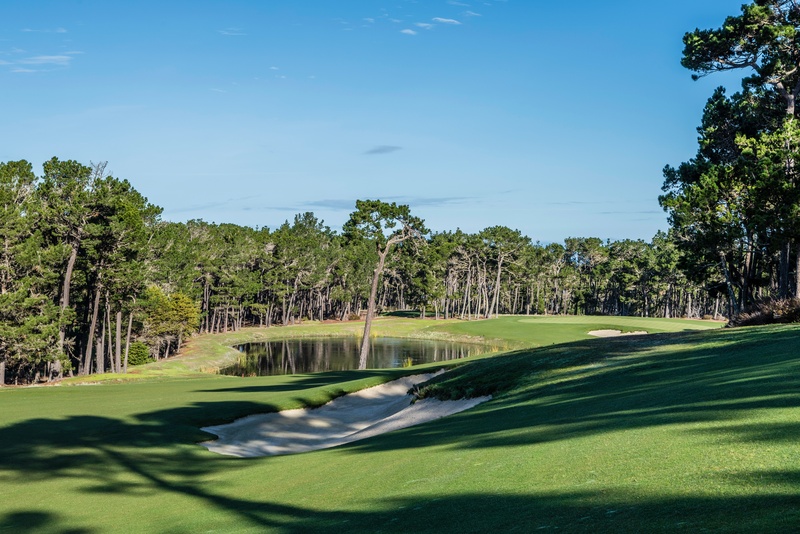 Poppy Hills is designed to be different than your home club. When you come to Poppy Hills on your next visit, take yourself “across the pond” and channel your inner links self. When you come up to a shot, disregard your first instinct on what club to hit. Don’t allow yourself to be fooled into flying the ball to the green EVER! The tour pros don’t do it and you shouldn’t either. Please remember that every green is designed to be accessed via the ground -- so using low rollers or bank shots is your answer to success at Poppy. Get out there and dial in your bump and runs. Leave your sand wedge in the trunk, and come have some fun rolling the rock at Poppy Hills.